Australia is expected to legalise the cultivation of cannabis for medical or scientific purposes with a bill introduced to parliament on Wednesday -- the first step towards doctors eventually prescribing it to patients with chronic pain. The bill will see Australia create a national licensing and permit scheme to supply medical cannabis to patients with painful and chronic conditions on clinical trials. Several Australian states have committed to starting trials for the cultivation of cannabis for medical and research purposes but current laws forbid the growing of the plant. 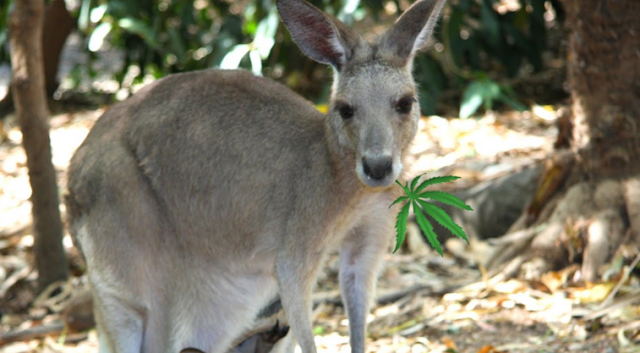 As a result Australian manufacturers, researchers and patients on clinical trials have been forced to access international supplies of legal medicinal marijuana. But costs, limited supply and export barriers make this challenging. "Allowing controlled cultivation locally will provide the critical missing piece for a sustainable legal supply of safe medicinal cannabis products for Australian patients in the future," said Australia's Health Minister Sussan Ley. Although the legislation would aid supply to researchers and patients on clinical trials, access to cannabis will not be allowed for other patients and the genral public. Australia is set to decide by the end of March as to whether to lower the criteria on how it allows the use of cannabis for medical purposes. Should Australia decide to treat cannabis similar to opium, patients dealing with chronic pain could be prescribed the drug. MMJ PhytoTech Ltd became Australia's first listed medicinal marijuana company following an initial public offering last year that was three times oversubscribed. "The market for medicinal cannabis in Australia is substantial. The number of patients that could be targeted could be people with epilepsy, Multiple sclerosis, while there is the other spectrum of people with chronic pain," said Gaelan Bloomfield, manager at MMJ PhytoTech Ltd.